I have been sharing so many amazing stories with you about my Disney press trip to San Francisco for the new movie Inside Out that I couldn’t wait any longer to share this special treat with you! The new animated short film Lava will be showing before the Inside Out movie! It is fantastic and has a catchy song your kids will be singing for weeks! You will soon find out that love can happen for anyone, even volcanoes. 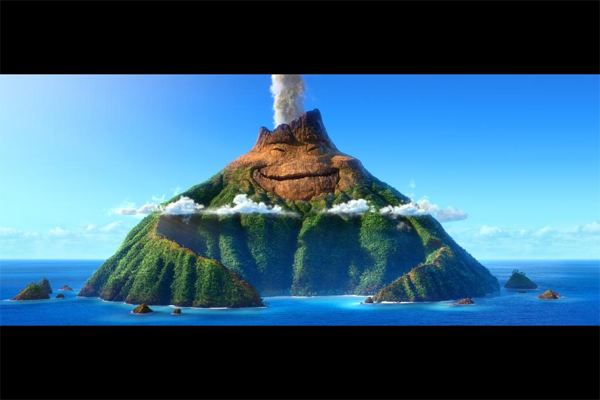 Lava is directed by James Ford Murphy, known for his work on A Bug’s Life (1998), Finding Nemo (2003) and Monsters, Inc. The animated short film is produced by Andrea Warren. Andrea is known for several animated films including Finding Nemo (2003), Wall-E (2008) and Cars (2006). Lava is a musical love story inspired by isolated beauty of tropical islands and the explosive allure of ocean volcanoes. Imagine waiting for that one true love for millions of years. 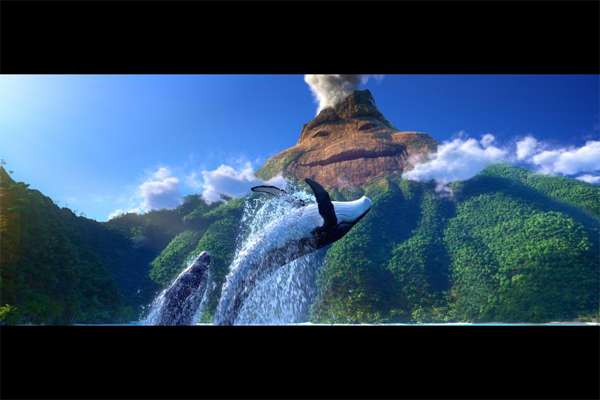 You will watch as Uku (Kuana Torres Kahele), a lonely volcano waits and searches for his one true love. Uku’s love interest is the volcano Lele (Napua Greig). James told us that he’s not responsible for any vacation costs we might incur after viewing the film. I can see why! I am ready to head off to gorgeous Hawaii! After filming the short they counted 20 people from Pixar that had actually went to Hawaii or somewhere tropical on vacation! Lava director James Ford Murphy and producer Andrea Warren. James said he actually found his inspiration for the animated short film over twenty years ago. He was on his honeymoon in Hawaii with his wife. What better place to fall in love and celebrate your love than in Hawaii? He loved the culture, music and of course, the volcanoes. He wrote the theme song you will hear in Lava. It is a huge part of the short film. James played the song when creating the film but they flew to Hawaii to hire real Hawaiians to sing it in the film. James grabbed his ukulele and played the catchy Lava song for us. We enjoyed Hawaiian themed food to celebrate the new short film, Lava at the Pixar Animation Studios in the gorgeous Brooklyn building. Pixar Animations Studios Brooklyn Building. We got to hang out with the creators of Inside Out and Lava. They spoiled us for sure! Lava has already won an award for the Best Short Film at the Hawaii International Film Festival! I am expecting more awards to come for this beautiful short film. The color is magnificent and the animated short film is absolutely gorgeous. You are sure to lava the film as much as I did! And of course, don’t forget, you’ll be watching Inside Out right after the beautiful Lava love story! Here’s a trailer to get you excited! Here’s some fun Inside Out Printables Family Activity Sheets and Inside Out Movie Recipes for you to enjoy! 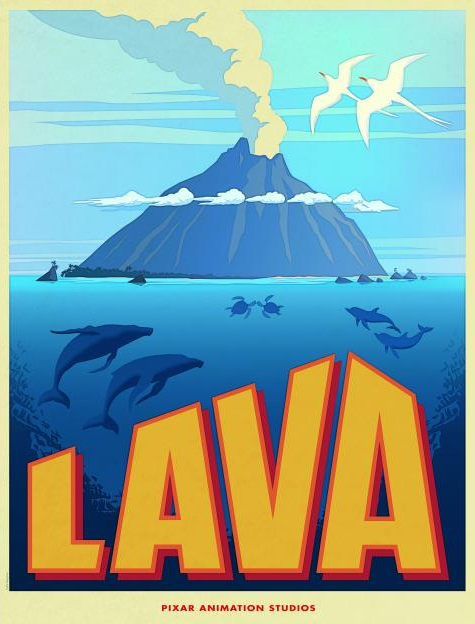 And don’t forget about the Animated Short Film Lava you can only see before Inside Out in theaters! Inside Out opens in theaters everywhere on June 19th! It is an amazing movie to bring the whole family to see!